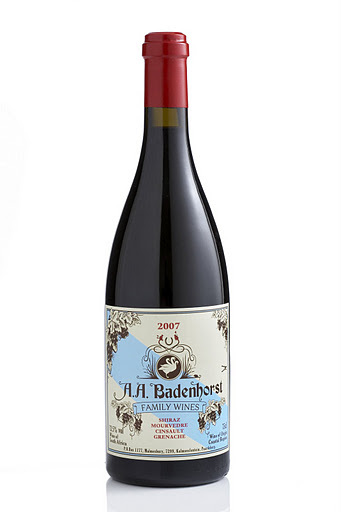 An outstanding red blend is AA Badenhorst Family Red 2007 (£29.95 at Harrods) – bold, harmonious and spicy, and an impressively restrained 13.5 per cent. Its creator Adi Badenhorst has an enviable bounce that’s more than matched by his winemaking skill. This entry was posted in Adi Badenhorst, eben sadie, mullineux wines, Paardeberg, swartland by quietriotgirl. Bookmark the permalink.